A korowai has been stolen from an art gallery in Wellington, allegedly by a man who appeared to be homeless. A florist has completed a korowai covered in flower petals to celebrate NZ Flowers Week next month. However tonight The National Flower Promotion Group gives Te Kāea exclusive access to a unique item. 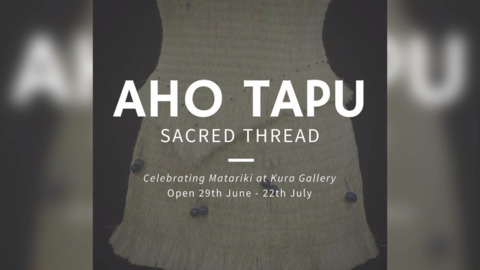 This week marks 20 years since the passing of a prominent weaver of Te Arawa who has opened doors for many weavers around the country. Her name was Emily Rangitiria Schuster and her work is now been displayed in the Te Puia Tourism art gallery in Rotorua.